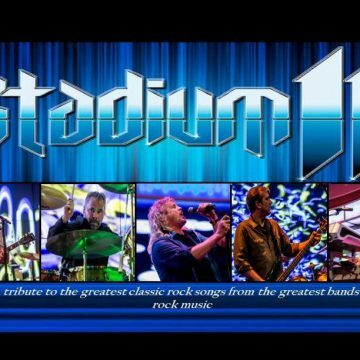 The band plays all of the music that you would have heard in stadiums and arenas across the country in the 1970’s and 80’s and performs authentic re-creations of the greatest hits from bands like, Journey, Styx, Boston, Foreigner, REO Speedwagon, Elton John, Wings, Yes, Led Zeppelin and more! Stadium 11 delivers an energetic, true concert-like performance at every show. Come and experience all of the chemistry, the magic, the passion, energy and accuracy of the legendary bands that made rock history — up close and personal.